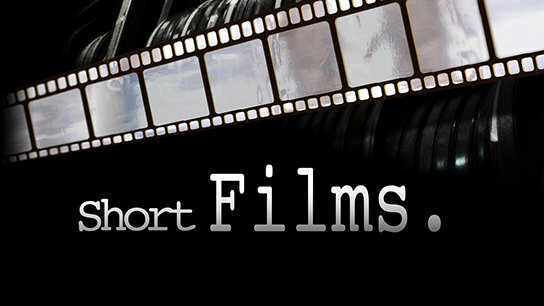 Short films are increasingly attracting more viewers, because of course, internet. It has therefore become a popular medium for story-tellers. With ‘Kriti’ – a Radhika Apte starred short film being the talk-of-the-town, we can’t emphasize enough on how short films are going to be the new-big-thing in the near future. Kriti - Actress Radhika Apte starred film ‘Ahalya’ went viral last year. She recently stars in another short film released on Wednesday. ‘Kriti’, directed by Shirish Kunder, co-stars Manoj Bajpayee as a writer and Neha Sharma as the titular Kriti. Radhika plays the writer's friend and psychiatrist. We love how Radhika is getting all the love and support from the B-town. Keep growing gurl! Bypass - Directed by Amit Kumar and set in the arid region of Rajasthan, ‘Bypass’ stars Irrfan Khan and Nawazuddin Siddiqui in lead roles. This short film uses no subtitles or dialogue, instead it solely relies on the performances by actors and is rich in cinematography. What a watch! Rastaa – ‘Rastaa’ is the story of two boys, both beggars on the streets of Mumbai directed by Digvijay Chauhan. The film narrates the incident of a day in the life of these boys at a traffic signal, where they both struggle for survival. That Day After Everyday - Made under Large Short Films by Anurag Kashyap and starring actress Radhika Apte in the lead role, this short focuses on the issue of eve teasing and molestation. Anurag Kashyap whose flair lies in narrating gritty realities of the modern world, provides the viewer with lots of grey characters. You’ll be glued till the end! Black Mirror - Directed by Adi Burman this short tells the story of an orphaned boy, Ranu, who lost his parents in a bomb blast. Driven by hunger, he roams around in the streets of Mumbai and the story leads us to the dark side of the metro city through his perspective. Little Terrorist - Nominated for Academy Award in the year 2005, this short film has been written and directed by Ashvin Kumar. The story is about an innocent Pakistani boy who crosses the border and reaches Indian soil in an attempt to fetch a cricket ball. The rest of the film follows him on his way back home. Migration - This short film is directed by film-maker Mira Nair and written by Zoya Akhtar and Vishal Bhardwaj. ‘Migration’ focuses on the sensitive issue of AIDS awareness and stars Irrfan Khan, Shiny Ahuja and Raima Sen in lead roles. We wish Radhika Apte all the success and many congratulations for her new release, ‘Kriti’.